Why do I need to worry about Medicaid when I am covered by Medicare? Home › Blog › Long-Term Care › Why do I need to worry about Medicaid when I am covered by Medicare? This question has been posed to our firm constantly. However, there is a strong likelihood that many individual have the same question; “If I paid into “the system” long enough to receive Medicare, why would I ever need to worry about Medicaid? After all, isn’t Medicaid for poor people?” Although this understanding is not completely inaccurate, it is missing the significant connection between the two programs. 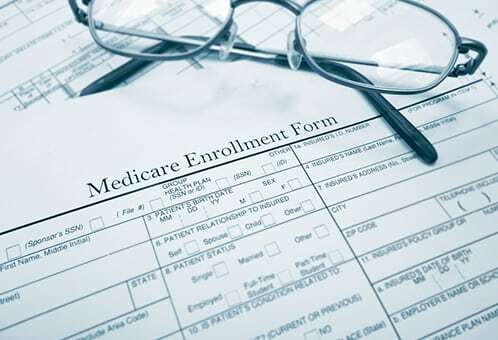 Although Medicare and Medicaid are two separate programs created to provide health insurance coverage to the elderly, and yes, Medicaid is a program created for the poor, the two programs often correlate with each other. Whether this correlation was intended is irrelevant. Whether the correlation has to do with the significant advancements in the medical field and longer life expectancy, here is how an aging individual covered by Medicare will ever need Medicaid. First, let’s understand the difference between the two programs. Briefly, Medicare is a government provided health insurance program for persons age 65 or older who are entitled to receive Social Security or Railroad Retirement Benefits, or a spouse who is at least 65 years or older, or someone who is entitled to Social security, or state and local government employees not covered by Social Security who have paid in through the Medicare payroll tax, or if he or she is of age and buy into the system. Medicaid, on the other hand, is a needs based health insurance program for those individuals whose income and asset levels are close to poverty level. So if I am covered by Medicare why would I need Medicaid? Simple Answer: Long term care. Medicare provides very limited coverage for long term care needs. Medicare fully covers your expenses for the first 3 night stay in a hospital and a maximum of 20 days in skilled nursing or rehabilitation facility. After this time, Medicare will only partially cover the next 80 days of skilled services with the patient private paying the difference. After this total of 103 days (from hospitalization to end of partial coverage) Medicare covers none of the cost of long term care; the patient pays privately from here on out. Currently, the cost of skilled care is approximately $10,000 a month and is ever increasing. Therefore, it will not be long before an individual runs through her (and if married) her spouse’s, life savings to pay for the care he or she so desperately needs. This is where Medicaid comes in. Once the individual has spent all of her family resources down to approximately $2,000, then he or she will need to seek out Medicaid coverage. Note: There are a variety of strategies available for elder law attorneys who can assist families facing a long term care crisis. However like any crisis, advanced action is the best protection. If you or a loved one anticipates the need for long term care in the future please contact us for a free consultation.